The species is found in woodland throughout southern Britain and much of Europe and Asia, extending as far east as Japan. In Armenia the nominate subspecies is recorded, which inhabits deciduous forests of North-eastern Armenia at the elevations from 1300 to 2200 m a.s.l. As appears the species prefers forests with sufficient amount of shade. In Armenia the White Admiral uses various Lonicera spp as the host plant. Most probably it gives two generations per year, when the first flies from mid May till mid June and the second - from early July till mid August. The species is quite rare even within its typical habitat. The quantitative data is quite scarce which makes computation of the population trend of 2003-2013 hardly possible. However it can be stated that the occurrence of the species significantly drops in the degraded parts of forests, and in two sites the species completely disappeared. The species is not included in the Global and Armenian Red Lists, however it is included in European Red Book as a Least Concern. 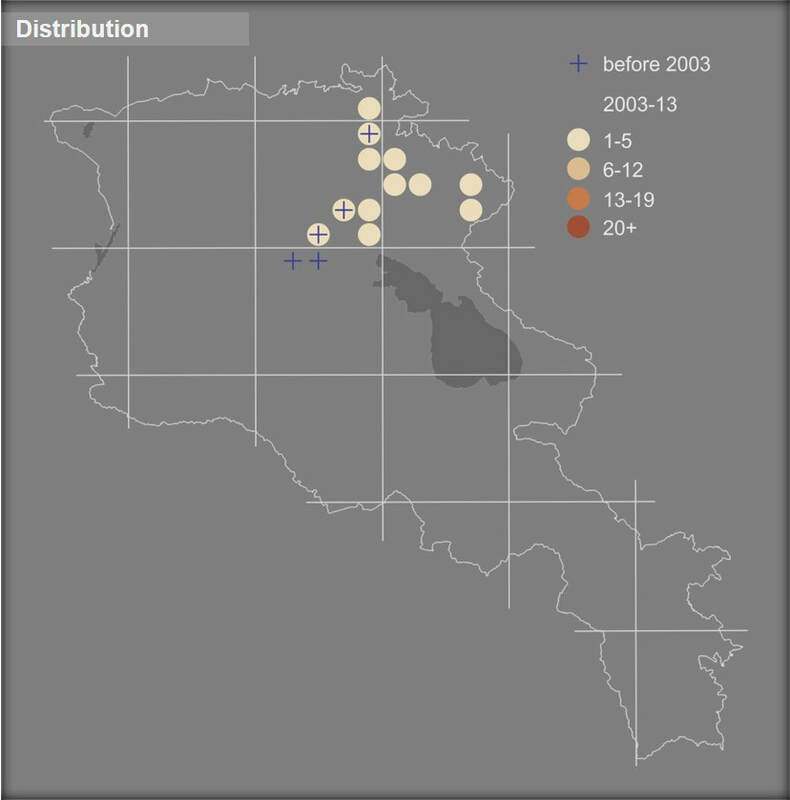 Preliminary assessment of the White Admiral's conservation status for Armenia suggests Vulnerable. Current distribution range of the species is just partly covered by Dilijan National Park, the rest of the range lays within forestry enterprises. The most important conservation measure that has to be undertaken is identification, testing, and launching of wildlife friendly forest management practices, which also should include development of non-timber forest production. Also more Prime Butterfly Areas should be identified at the North-eastern Armenia, with further transformation and inclusion into Emerald Network and development of management plans for the Emerald Sites.